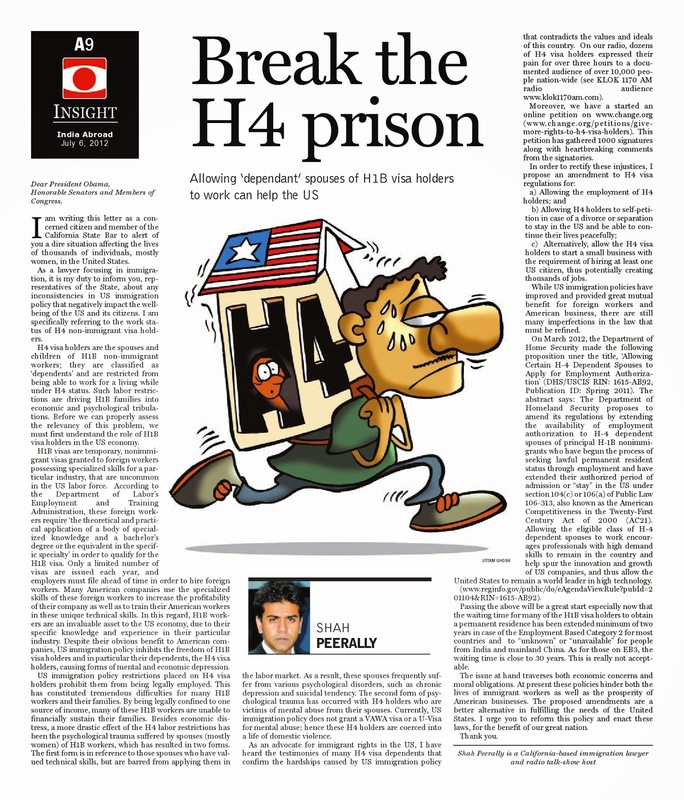 H4 Work Authorization, Work Permit or H4 EAD and H4 Visa Issues: Another Xenophobic attack on H4 Visa Holders and the New H4 EAD rule. 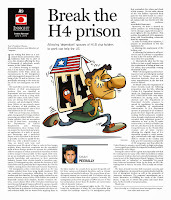 Another Xenophobic attack on H4 Visa Holders and the New H4 EAD rule. It seems that many are going on a lengthy way to attack not only the H4 EADs but also an entire group of people. While the arguments might be holding water, the fact that some can even dare to write such a book is reprehensible. The book "The Rise of South Indians: Invisible Dimension in Decline of Jobs for Americans in US Economy” says that to fix the broken US IT job market, the monopoly of Teluguites and Tamilians must be ended. The immigration system has its flaws but so far, the Silicon Valley has prospered based on this system. Now blaming the "success" on abuses is not only wrong but ridiculous. We would like all of you to be aware that many anti-immigration groups are just racists and xenophobic. They will even use people of the same community to create division between groups. None of us should subscribe to this kind of intimidation.